In a letter to the prime minister, Rahul Gandhi said the torrential rains, floods and wide-scale landslides have left behind a trail of destruction across Kerala. 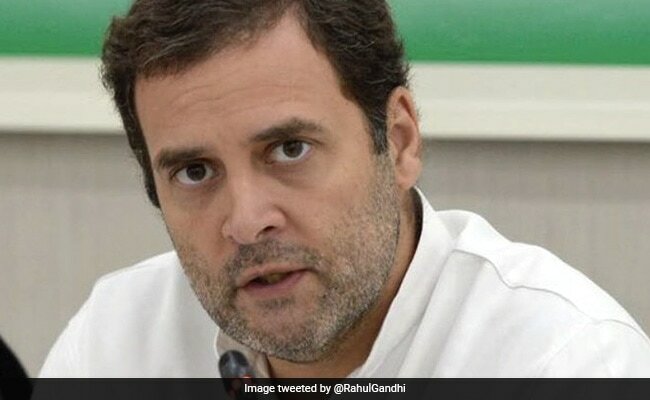 Congress president Rahul Gandhi today urged Prime Minister Narendra Modi to release sufficient funds to the Kerala government to help respond to the flood crisis and restore critical infrastructure in the state. In a letter to the prime minister, Mr Gandhi said the torrential rains, floods and wide-scale landslides have left behind a trail of destruction across Kerala. Terming it as the "most severe disaster" that has struck the state in the last five decades, he said this natural calamity has resulted in massive economic and human losses "At this juncture, it is critical to acknowledge the looming humanitarian crisis facing Kerala," he said. He expressed the hope that the Centre would cooperate with the state government in the massive relief and rehabilitation efforts which were underway. "I request you to release sufficient funds immediately to the state government, to enable the state to respond effectively, and work towards restoring critical infrastructure," Mr Gandhi said in his letter to PM Modi. He said the fishermen community is one of the worst affected and that this disaster has dealt a "deadly blow" to them at a time when the fishing industry is yet to recover from the adverse impact of Ocki cyclone. He noted that incessant rains have forced the state to open the shutters of 24 dams, and the resultant deluge is likely to cause massive destruction in downstream areas. The widespread destruction of critical public infrastructure such as power supply lines and roads will only prolong the recovery process, he said. Rahul Gandhi also urged Congress party workers in the rain-battered state to help those in need. He said the unprecedented rainfall has wrecked havoc in the southern state, destroying property and forcing thousands to abandon their houses. "Unprecedented rainfall has created havoc in Kerala, destroying property and forcing thousands to abandon their homes. I urge each and every Congress worker in Kerala to step up and help those in need. My prayers and thoughts are with the people of Kerala in this difficult time," he earlier said on Twitter.